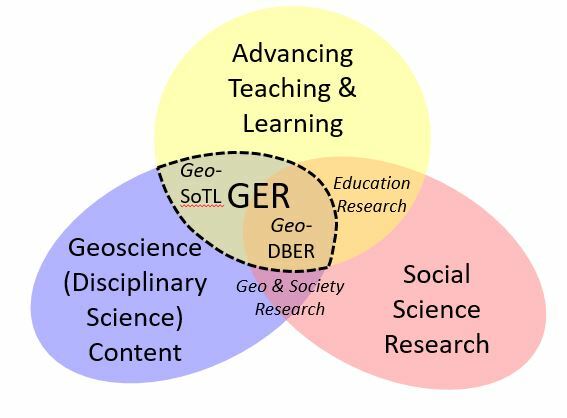 Geoscience education research Venn diagram. Figure by St. John, 2018, modified from one by Lukes et al., (2015). Originally uploaded in NAGT:Geoscience Education Research.